Have you noticed that you can upload a full HD video to YouTube and it’s great quality but when you watch it on YouTube the quality is rubbish. 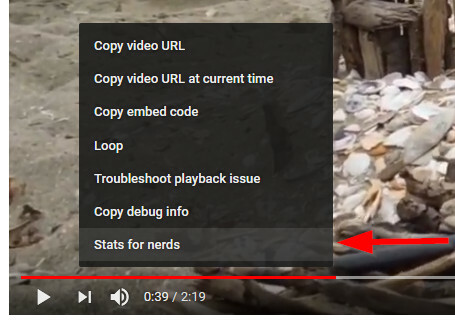 The likely problem is that YouTube is not displaying it in the resolution you uploaded, sometimes quite a low resolution. As you can see the above video is coming down as 1280×720 far less than the full HD it was shot in. It usually doesn’t matter if you change the display size or go full screen the problem is likely to persist. It appears the reasons for this are quite varied, but seem likely to be around YouTube’s favored format for high definition videos being “VP9”. 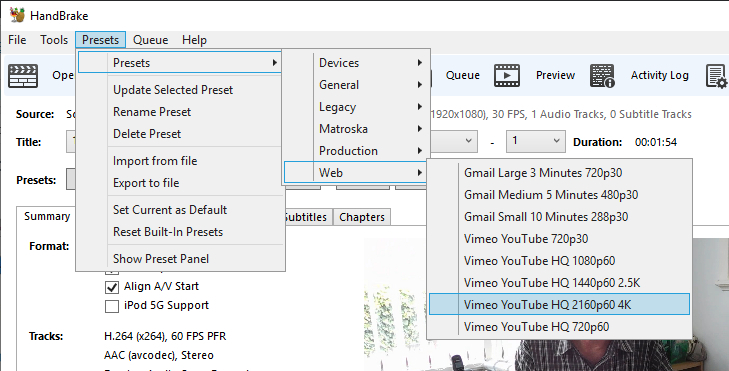 The problem is that to convert a video to VP9 takes quite a bit of CPU resource and time and given that will happen on YouTube servers they seem to have configured things so that they only do this for popular channels – which is a bit of a bummer if you don’t have a lot of subscribers. There are multiple pages on what to do about this but this is what works for me currently, December 2018 – remember anything can change and frequently does, so this may not necessarily work in the future. I create my videos on my Nikon S7000 a small digital camera using full progressive HD at 30 fps. My video editor of choice is currently VSDC so that is what I will reference. When creating the video project in VSDC just do it the way you would normally, same resolution, everything – later we will increase the resolution using Handbrake. Also if you want to add any sharpening or other effects do it now. We will only use Handbrake for resolution changes. Then select an appropriate filename and click on “Start Encode” to begin the conversion. As you can see it is now at full HD and using the VP9/opus codecs. If it doesn’t show the right codec or size give it more time. It seems it can take maybe a couple of hours sometimes.